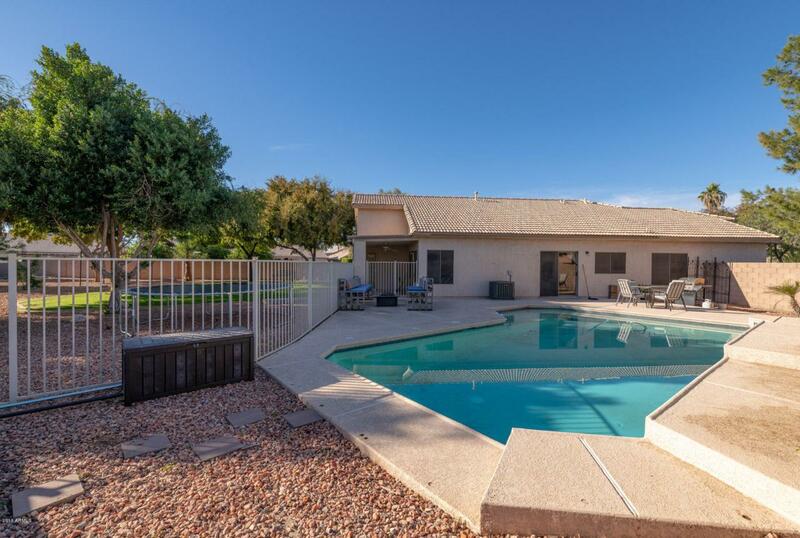 Incredible single level 4 bed, 2 bath home in the heart of Gilbert features a large kitchen and dining area that opens to the great room as well as an oversized formal living. 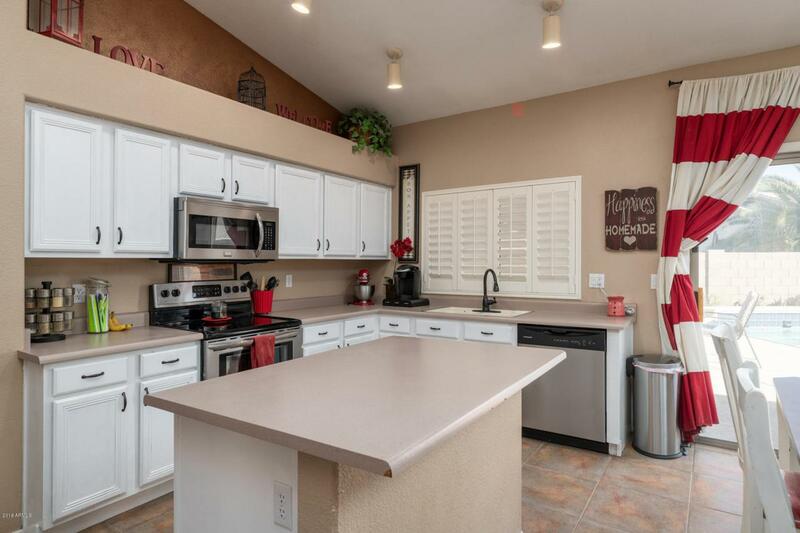 Kitchen has stainless steel appliances, an island and 16'' tile that runs through the hallway. 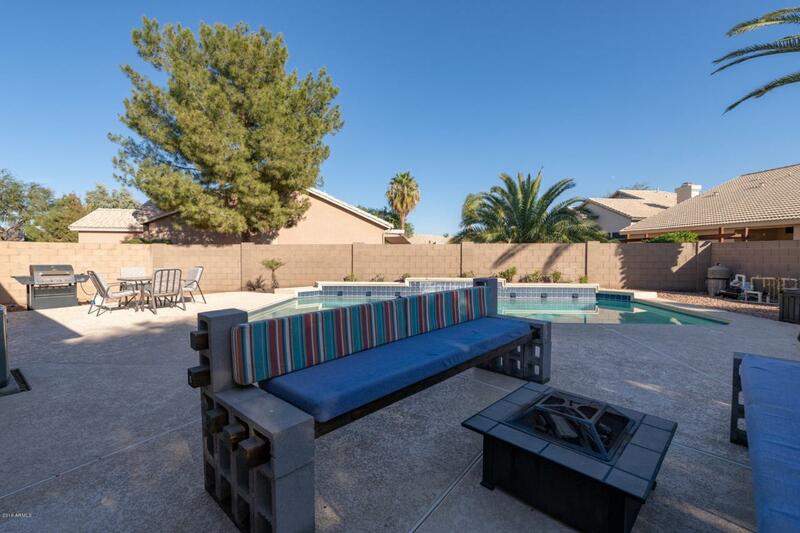 Family room has vaulted ceilings and opens to both the pool and backyard. 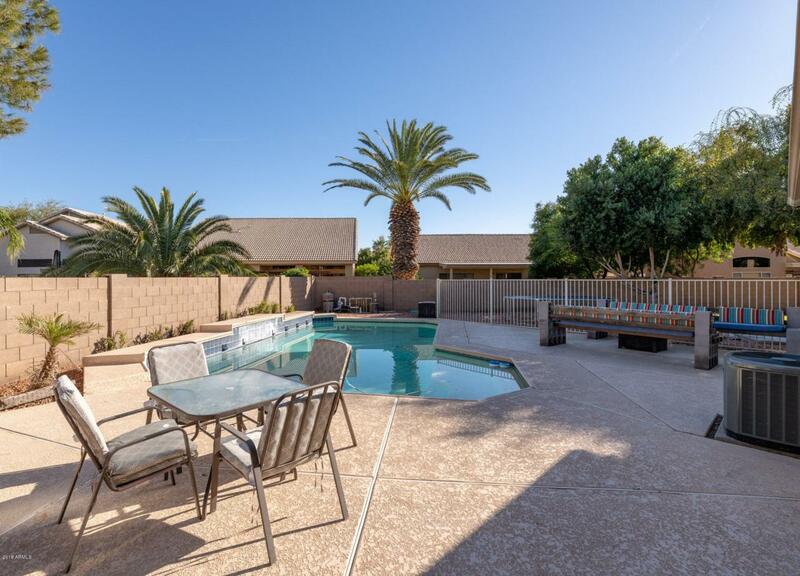 Master bedrooms is spacious with vaulted ceilings, walk-in closet, large bathroom with separate shower and tub. 3 guest rooms are bright and airy. Huge corner lot on over 14000 SF. Lots of grass and room to expand the yard. Pool has a water feature and is gated.